DVD Cloner is a DVD cloning program which can make exact copies of your DVDs and burn them on to blank DVD discs. It is able to decrypt all types of DVD protection technology such as Macrovision, CPPM, RC, APS and RipGuard. With improvements with the way the program reads discs, speed has been improved. 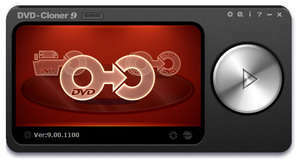 Thanks to the new 1-click interface, DVD Cloner makes cloning your DVD files extremely easy. DVD Cloner 2013 10.70 is a shareware program and can be used as a demo to try the software until the free trial period has ended. A full version of the program is available after the trial period ends. For security reasons, you should also check out the DVD Cloner download at LO4D.com which includes virus and malware tests. Additional screenshots of this application download may be available, too. 3.4 out of 5 based on 5 ratings.